My current research looks at the underlying thoughts and beliefs that can feed performance anxiety and extreme anxiety in the professional and tertiary university spectrum of performers. I’m also doing some more adolescent-focused research, looking at how to develop interventions that are accessible in the school system, which is important given most people start learning an instrument in their younger years. 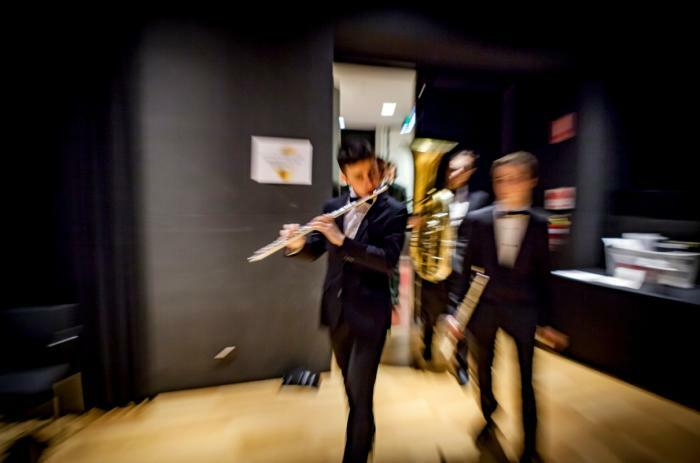 I had my own experiences with performance anxiety in Year 12 of high school, performing the clarinet and classical voice for the final music examination. It was in a new venue, with a really poor set-up, and everything just cascaded in on me, leading to the classic “choke” experience. After that I put the clarinet away in a box and didn’t touch it again, and didn’t sing again until my mid-twenties. I remember looking at the examiners and thinking: “Can they see that I’m actually crumbling here?” It was just revolting. I also practise clinically, consulting and coaching people, mainly performers, musicians and public speakers, either with very specific performance-anxiety problems or with general anxiety-management issues. I enrolled in a Bachelor of Psychology at Macquarie University in my mid-twenties. At that point, I’d just got back into classical singing and was going through feelings of anxiety again. My singing teacher just happened to be bass baritone with Opera Australia and just happened to be finishing his masters in music and performance anxiety in opera singers. He needed a research assistant – which turned out to be me. My “career path” has been a classic blend of working on self-improvement and dusting myself off after set-backs so that I’ve been ready to seize opportunities when they come. 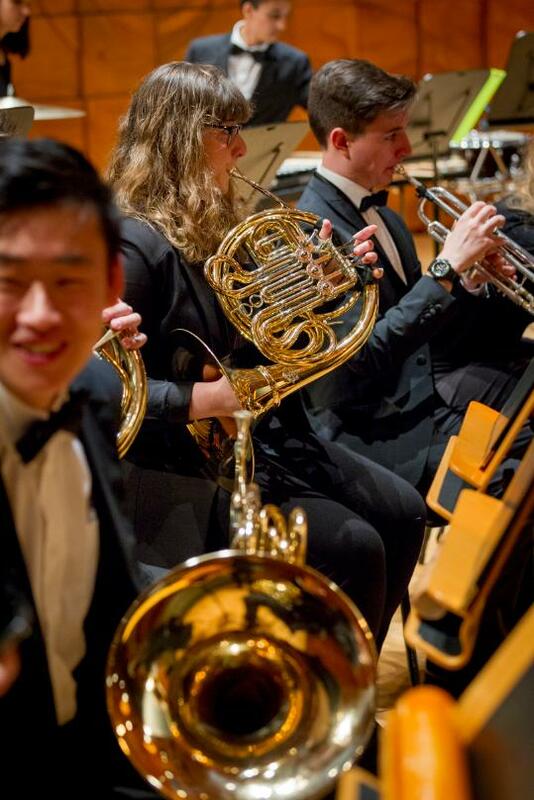 Melbourne Conservatorium of Music: Wind Symphony Day, 2016. Picture: Sav Schulman. When we’re under the pump with anxiety, cortisol triggers the fear networks in our brains, so that we scan our physical and mental environment for evidence to support our fears. We start imagining the worst-case scenario. This is a crucial point for performers to remember. Research tells us that what we imagine, we become. I’m project-managing the IgniteLab program for music students at the Melbourne Conservatorium of Music with a project coordinator, Susan de Weger. 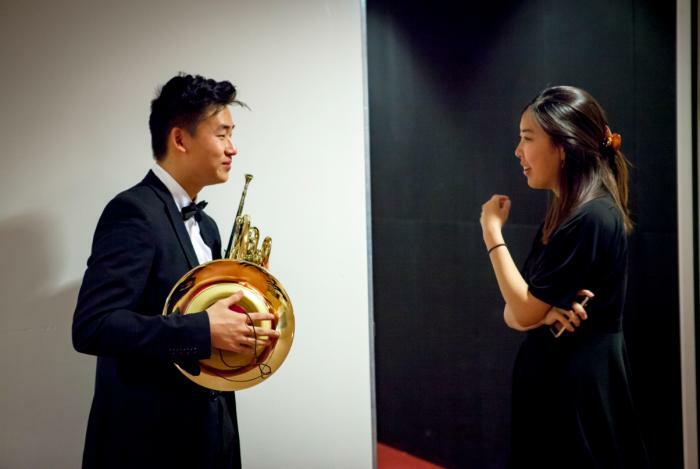 It’s all about building capacity for students to use their musical knowledge and skills in a business and career environment, not just as performing musicians. Recently, I was speaking with a musician in the New Zealand Symphony Orchestra about his conversations with the All Blacks’ mental skills coach, whose techniques are embedded as a core part of the Blacks’ ongoing training program. I’ve been involved in similar work with an AFL team in Melbourne. I won’t reveal which team it is but I will say they’re doing better now than they were before. During a performance it’s important to know before you go into it that you’re going to be more physiologically aroused. It’s also important to discount the myth that you have to be relaxed in order to play well, because that’s absolute rubbish. If you had the same amount of energy you woke up with on a Sunday morning, you wouldn’t come across as engaging to anyone. I try to do yoga at least once a week, I love to cook and I’m learning the viola. Otherwise I enjoy being with my kids, who are nine and six, enjoying their activities and sports. It’s really interesting to me to see the development of their critical thinking and their reactions to performance success and setbacks. The best advice I’ve ever received is: Where there’s a will, there’s a way. The second best: Don’t throw away your old shoes before you get new shoes. And third: You are not your brain – that’s the title of a 2012 book by Schwartz and Gladding. I see it as a mark of success that music performance anxiety is becoming a topic of constructive conversation between child and adolescent learners and their teachers. It isn’t swept under the carpet and considered a weakness. Musicians of all ages and levels of expertise are becoming empowered to come out and discuss it and get help.